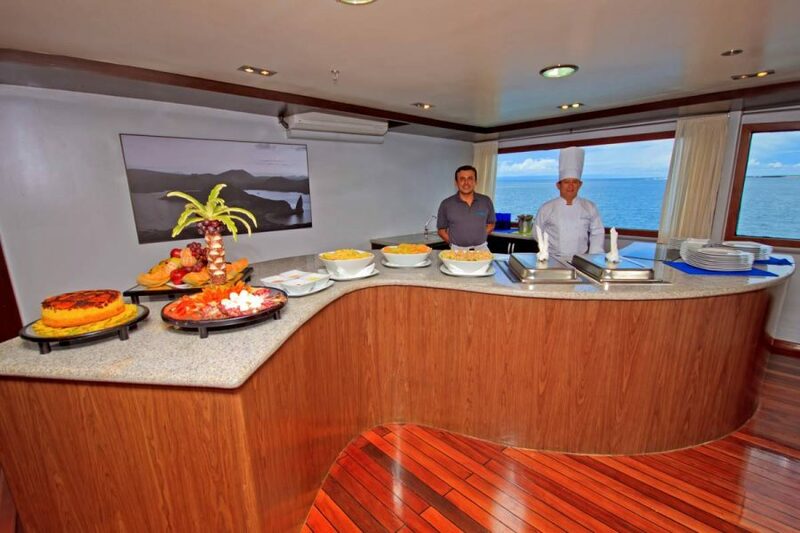 The Ocean Spray offers one of the best performance and comfort for those on a Galapagos Island cruise. 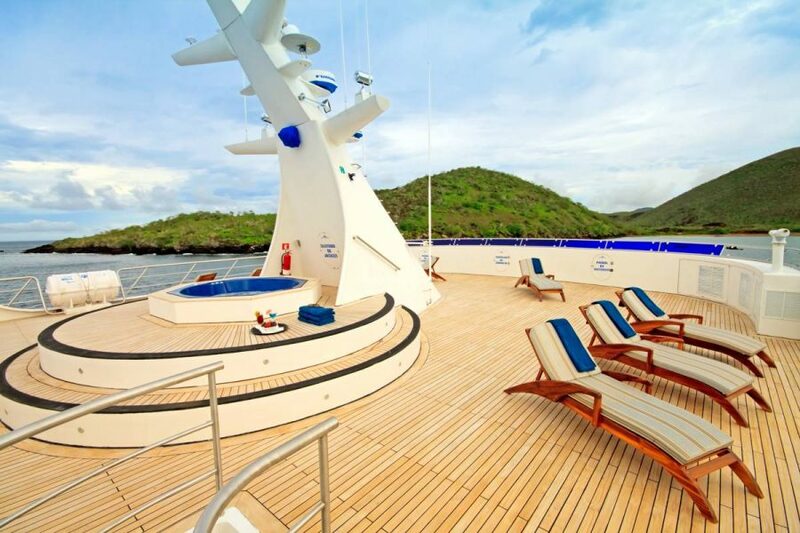 The elegant design includes a huge sundeck, a jacuzzi and spacious cabins each with private balcony. 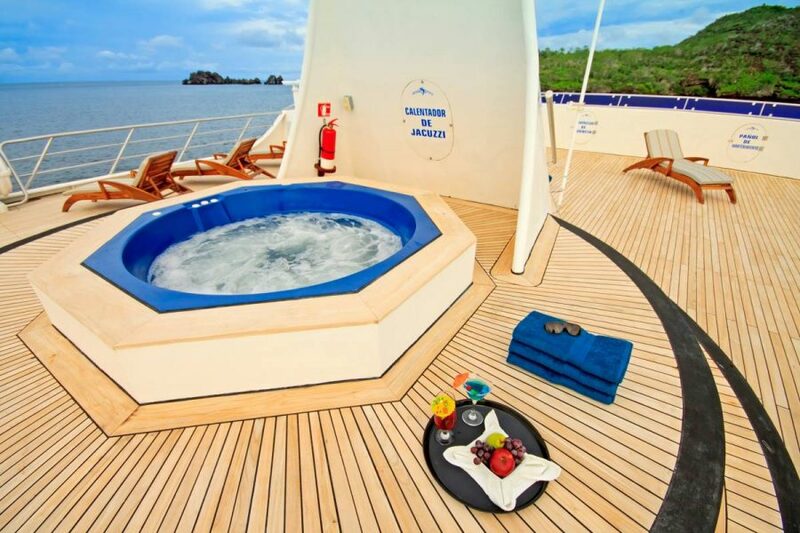 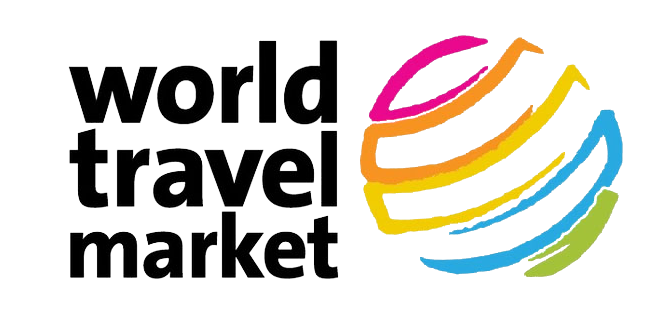 It’s speed, comfort, top guides and itinerary will make Ocean Spray perfect for your luxury Galapagos cruise. 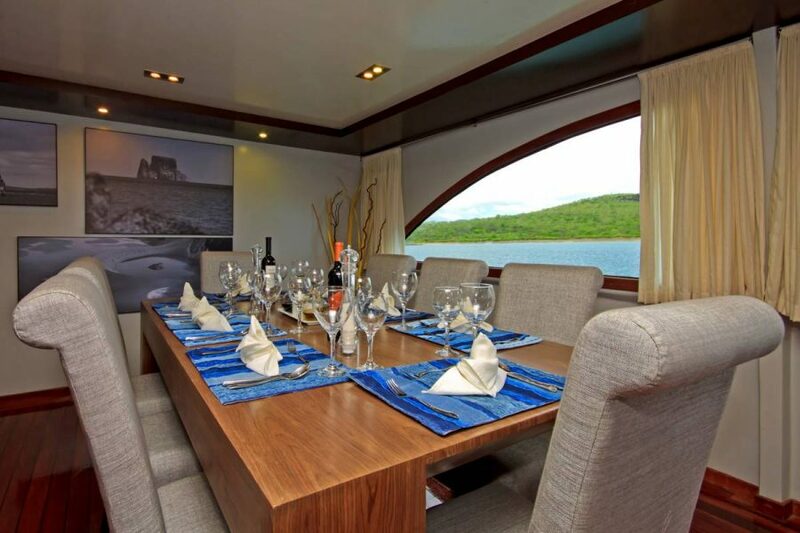 This is a roomy, comfortable Galapagos tour yacht that offers fine dining, both indoor and al fresco and an enjoyable smooth ride. 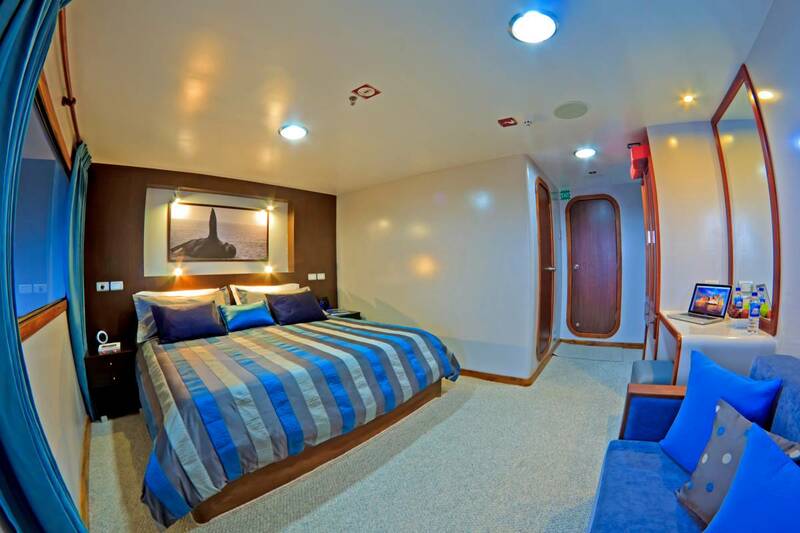 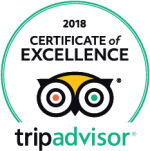 Accommodation 8 double cabins with private bathroom, hot/cold water, air conditioning and balcony. 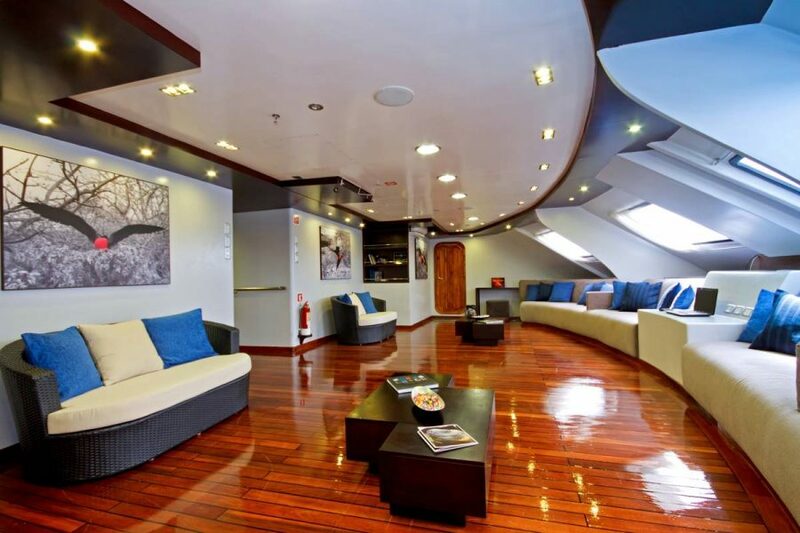 Main deck: 4 double cabins Upper deck: 4 double cabins y 1 single cabin.